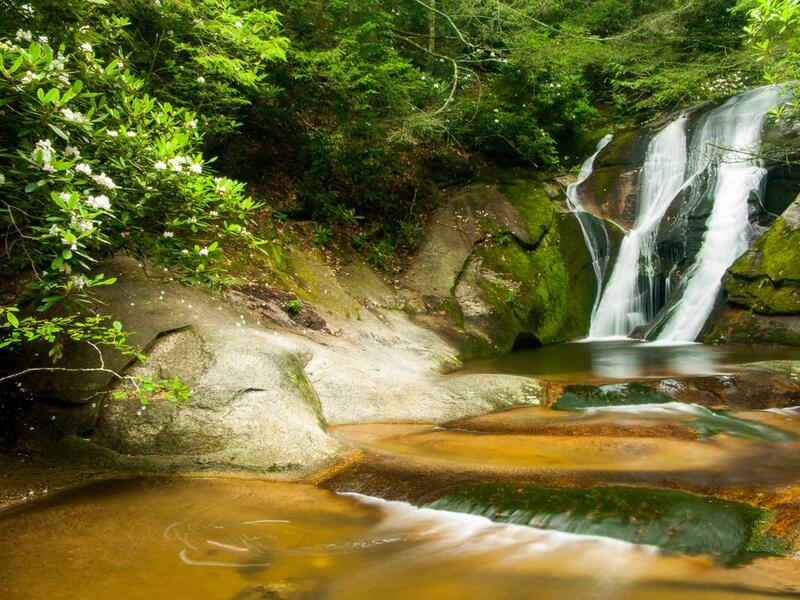 A beautiful falls awaits just a few hundred feet from the main park road. The falls is a popular sliding and swimming area during the summer months. The flat, rocky area at the base of the falls makes it relatively safe for exploring and play (if you don't mind getting wet! ).